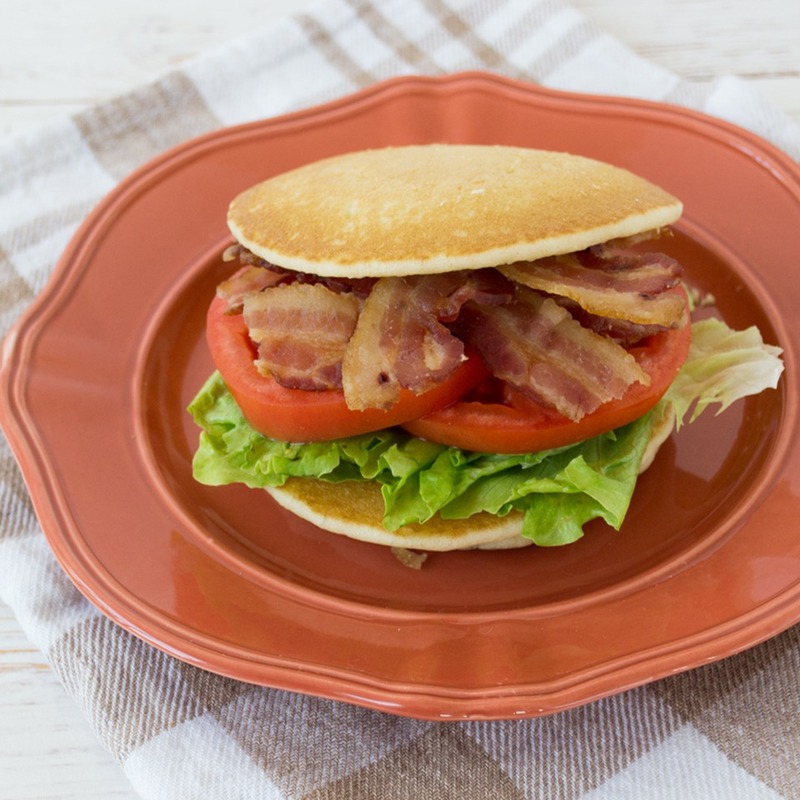 Try your next BLT sandwich DWB-style – made with our fluffy Buttermilk Pancakes instead of bread, this fresh take on the BLT will have you saying OMG! Cook 2-3 slices of bacon to desired crispiness, according to the instructions on package. Allow bacon to cool down and cut each slice in half. Microwave De Wafelbakkers Buttermilk Pancakes according to the package. Now it’s time to make the magic happen. Place one pancake on a plate and stack lettuce, tomato and bacon on top. Place the second pancake on top and enjoy your new-and-improved BLT!